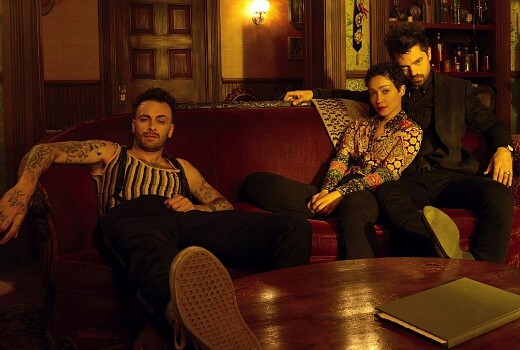 US cult drama Preacher will film its 4th season in Victoria, as previously tipped by TV Tonight. The project will inject $50 million into the Victorian economy and generate 740 jobs for local cast and crew, becoming the biggest budget TV production to come to Victoria since The Pacific in 2007. More than 800 local screen businesses will be engaged on the project as well as associated services such as catering, transport, construction and security. Secured via Film Victoria, the 10-part series will begin pre-production at Docklands Studios Melbourne and film for seven months in Melbourne and regional Victoria. Preacher stars UK actor Dominic Cooper and is produced by Sony Pictures Television and Playmaker Studios and follows a conflicted preacher who, during a crisis of faith, gains extraordinary power. The shoot will also feature a Melbourne-based plotline, showcasing Victoria to a global audience via AMC network in the US. The project has been supported through Film Victoria’s Incentives Program and the Australian Government’s Location Incentive program, in collaboration with Ausfilm. Minister for Creative Industries Martin Foley said: “Preacher will create hundreds of jobs and development opportunities for our local screen industry talent while putting Victoria on screen for the world to see. The series streams locally on Stan. This is so exciting on a number of fronts. Since production will be for 7 months… that means the stars may appear at Comic Conventions in Aus too! Yay!